from Advertising On This Site? 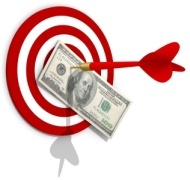 attract targeted visitors to your website? increase exposure to your business? ...then we can help you achieve these goals! If you answered yes, and you have a product or service for this demographic profile, consider advertising on this website. Would you like your business to be seen repeatedly in the 140,000+ page views we generate every month? If you are ready to start effectively promoting your product or service, please choose from the convenient and affordable options below - you'll be able to upload your ad graphic and links after the payment is processed. Please fill out the form below and we'll get back to you to discuss your specific promotional needs.